Hi there, really been looking for some guides but it seems like there isn't a conclusive answer. Took a practice GMAT test for diagnostic scored a 630 (Q45, V31) took it haphazardly since I was doing it in public and had 20-30 minutes to spare for pretty much all sections. I currently bought the OG 2019 (+verbal/quant guide) been blazing through the questions this past week or so, did around the first 40 questions on each section (on the OG GMAT 2019) and pretty much scored perfect on all of the except sentence correction where I missed around 10 and RC -3 and reasoning at -4 (although some were def silly mistakes). So the big question is where do I go from her??? I know that the OG guide the later questions seem harder so i'll be tackling that in the next couple of weeks but not sure what to do now. Also does anyone know any good guides for sentence correction??? Planning on taking test around early July, aiming for 750+ thanks! 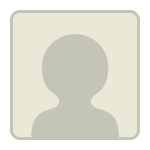 You could start by taking a look at this post. 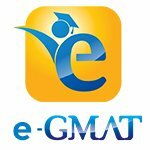 You can check out the e-gmat online course for sentence correction. So finish the all three officials guides ,be aware what concepts they tested there. Now find you weak spots. If quant , you can try TTP it's good to take you upto 48 after than gmatclub questions. 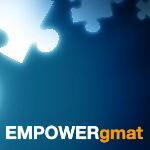 If SC is weak, egmat for CR,RCGmatclub,LSAT for practice. Having said that, it is very easy to get overwhelmed by the resources and probably postpone the study part. Please don't do that. Your kudos is a means of encouragement for healthy replies/tips. All the best. From what you describe, you essentially "rushed" through this CAT, so you could potentially have scored higher. As a general rule, finishing a section "early" is not a good sign; if you rushed through questions and didn't do enough work (and/or made little mistakes), then you lost points that you otherwise probably could have gained. This is meant to say that you might actually be at a higher 'ability level' than this 630 implies - but we have no way to know for sure UNTIL you choose to take your CATs in a more realistic and Test-like fashion (and commit to maximizing your performance). You have plenty of time before July, so you could potentially improve a great deal during that time. Since you already have some study materials, I suggest that you study as you choose for the next 2-3 weeks, then take a NEW, FULL-LENGTH CAT and make sure to do so in a realistic fashion (take the FULL CAT - with the Essay and IR sections, take it away from your home, at the same time of day as when you'll take the Official GMAT, etc.). Once you have that score, you should report back here and we can discuss how best to proceed. First off, I agree that you should retake a GMAC practice exam while adhering to “realistic” testing conditions and putting in maximum effort, so you can get a true baseline GMAT score. Furthermore, you need to ensure that you avoid the approach of what I call “practice first and figure the rest out later” -- in other words, doing practice problems before understanding the concepts on which those problems are based, and thus trying to learn solely from reading solutions to problems. Trying to learn in such a way will leave gaps in your knowledge and impede progress. Moving forward, follow a structured study plan that allows you to individually learn each GMAT quant and verbal topic, and then practice each topic until you’ve gained mastery. To study in such a way, you may consider using an online self-study course, so take a look at the GMAT Club reviews to see what is available. Regarding quant, since you likely need to raise your quant score to a 49+, as Murthykvln94 mentioned, TTP would be an awesome resource for you. We offer a full-access, 5-day trial, so feel free to check out the course. Lastly, you may find it helpful to read the following articles about The Phases of Preparing for the GMAT and How to Score a 700+ on the GMAT. I understand you are just starting with GMAT preparation. Practicing question may seem the right thing to do. But, to score high consistently it is necessary to learn methodical approaches so that you can apply them to every question irrespective of the difficulty level. 1. Take Verbal Ability Quiz or Quant Ability Quiz in Scholaranium. Practicing questions is more effective after you learn the concepts and processes to practice. As you have specifically mentioned about SC, please note that understanding the meaning of sentences and not just learning grammar rules is the key to acing GMAT SC. Murali started his GMAT journey only by practicing questions from OG. Soon he realized that it requires a methodical approach to ace GMAT and focussed on the approaches to reach a 740. I am sharing a few resources below to help you get an understanding of the same. You can get access to a lot more of these videos and practice questions once you sign up for the Free Trial. Overall, to reach a 750 you will need to put in around 2 months of dedicated effort and follow a structured approach. You can use the Personalized Study Planner to get clear and trackable targets and the estimated effort for improving each sub-section to reach our target score. Before you jump to solving questions plan your preparation well. If you want to discuss this further, feel free to reach out to us at support@e-gmat.com.